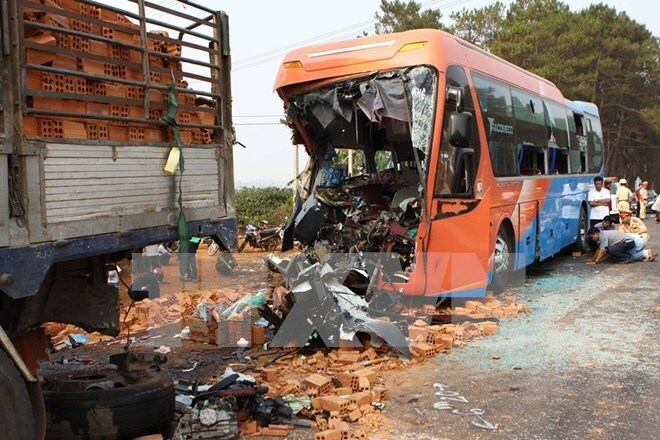 Hanoi (VNA) – During the first three days of 2016, there were 124 traffic accidents and 65 fatalities, according to the National Traffic Safety Committee. The accidents also left 94 people injured, the committee said. On January 3, the country saw a sudden increase in both numbers of cases and dead and injured people compared to the two previous days, with 49 accidents killing 23 and wounding 41. Accidents were also seen in railways and waterways on the last day of the holiday. During the three-day period, police dealt with 25,000 traffic violations, revoked 1,900 driving licences and collected 12.8 billion VND (563,200 USD) in fines.